Disturbed call recipients have been offered a new toy this month by electricity companies. A plug-in device that promises to save 40% of your energy bills for a not-so-small price starting at £99. The callers are alleged scammers, falsely claiming to be from energy suppliers or regulators, such as “British Gas.” Unfortunately, among the recipients, it is the elderly that are likely to be targeted as Moneyfacts.co.uk report. This entry was posted in Knowledge and tagged 40% Savings Scam, Device Scam, elderly, Electricity Phone Scam, pensioner, Phone Scam UK on Friday August 22nd, 2014 by joey. Nuisance calls are on the news again. Just a few weeks ago we told you about the findings of a study, that revealed highly startling news on the business practice of nuisance callers and the real extent of scam in the UK. The findings of Ofcom did not only show how nerve-wracking unwanted calls are in the eyes of most people, the results were also combined with a claim on improved and immediate action, which in detail means: a complete ban on cold calling. This week we will give you another clean proof on the necessity of action. The starting point of the ongoing silent, abandoned, harassment and any other unwanted calls is the fact, that the existing mechanisms launched for protection and defence are not working at all. The Telephone Preference Service TPS as a free service for customers to opt out from receiving marketing calls, is not at all hindering businesses to use phone calls as a working method for any kind of promotion or scam. As the restriction is not broad enough, a registration of one’s number on TPS does only help to stop unsolicited calls with a sales purpose, which means that for example any kind of recorded message as well as research or silent calls are not under the control of TPS. As already mentioned in the blog on the Ofcom study, problems especially occur if the caller is calling from abroad, as there is actually no legal basis for taking action against this. Although it is well-known, that especially elderly people are likely to be taken in by fraudsters, there are still not a lot of options on how to deal with it, as a recent example in the Guardian shows. What bothers the most is, that there are no actual attempts that would help to improve this situation, except for claims of consumer organizations and so far unredeemed promises of officials. The only help might be to fall back on private companies offering services and products to deal with the unsolicited calls yourself. When it comes to elderly people, this means that younger relatives need to help out. As the example of the guardian writer shows very clearly, this is as necessary as frustrating. She shows us through her own experience with an elderly relative, that most of the techniques that would work for us – like just not answering calls from unknown numbers or not giving away personal information – are not as useful for elderly people. Particularly politeness, forgetfulness or just loneliness are the biggest problems here. Elderlies tend to answer all calls as they want to be friendly; they talk to the researchers as they need conversation; and they give away their bank account data as they trust the friendly voice at the other side of the phone. So what is best to do? Of course, a complaint is one of the first steps to do when receiving unsolicited calls. But this is not an immediate solution, it helps on the long run, not for the present. First of all, checking the possibilities that are offered by your provider makes sense. Some opportunities of blacklisting numbers or blocking calls are integrated in most of the systems. But as the author of the guardian article points out as well, this is still not enough for the protection of elderly people. 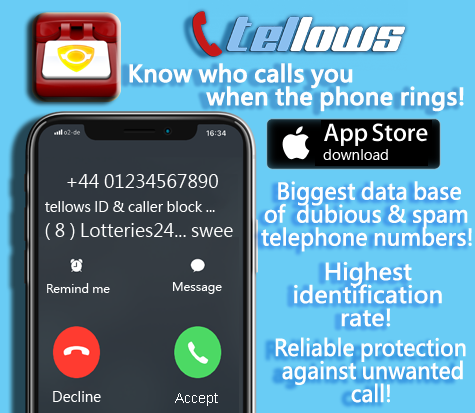 What she found might be the best solution for this problem in years, the trueCall device, blocking calls from unknown numbers completely, redirecting them to the answer phone straight away. Although this of course is not a free device, this product might be the perfect solution for a lot of different problems, as it can be used to block numbers, record important messages or even ask who is calling to decide right away if one should answer the phone. Although we could not test it, the mere existence of such a blocker means, that there are people actually thinking about how to solve the problem of unsolicited calls, as officials regularly fail to do so. 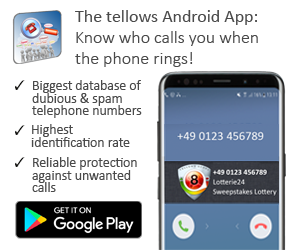 As many other applications, devices or web pages, also tellows works for the purpose of informing people on the dangers of unsolicited calls and hindering companies to scam. As long as the regulators are not able to take efficient enforcement action for the protection of consumers, it is up to tellows, trueCall et al. to support the fight on unwanted calls. This entry was posted in nuisance calls and tagged annoying, claims company, cold calls, elderly, fraud, methods of fraud, nuisance calls, Ofcom, PPI claims, scam, scam method, tellows on Thursday July 4th, 2013 by Marianne.